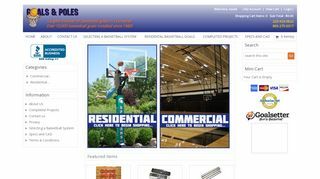 – Installer of basketball goals in Louisiana. Authorized distributors. Plexiglas and ProSeries by Metro Goals, Goaliath X, Jr. and Senior. Also football, volleyball and soccer installation.